The Nifty50 is likely to lower flat on Wednesday following muted trend seen in other Asian markets. The index closed 67 points higher at 11,672 on Tuesday. Trends on SGX Nifty indicate a weak opening for the broader index in India, a fall of 35.50 points or 0.30 percent. Nifty futures were trading around 11,714.50-level on the Singaporean Exchange. Trade-sensitive industrials dragged Wall Street lower on Tuesday as tensions over tariffs between the United States and its European trading partners went from simmer to boil and the IMF lowered its global growth outlook, said a Reuters report. 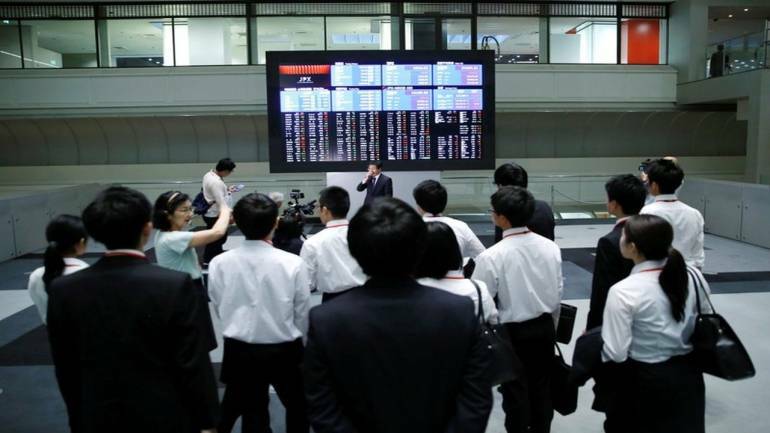 Asian shares stepped back from eight-month highs on Wednesday as the IMF lowered its global growth outlook and as tensions over tariffs between the United States and Europe escalated, it said. The rupee ended higher by 37 paise to close at 69.30 against the US dollar Tuesday amid firm Asian currencies and sustained foreign fund inflows.